1.) These fun socks! Shark attack! The have alligator and fish ones, too. 2.) This seductive boudoir shoot by videographer Maria Ferreira. Inspiring to watch the behind the scenes action happening. Makes me want to get dolled up and in front of a camera, or even behind one. Check out her other videos, too! 3.) The Zinke collection at Anthropologie. I've got a weakness for silk and mesh... especially when combined to make one fantastic undergarment set! Loving this yellow set called, Time Span. 4.) While I'm on the topic of under roos, check out these lovelies! Made-to-order vintage-inspired skivvies on Etsy. I think they're adorable... and much better priced than I would have expected. 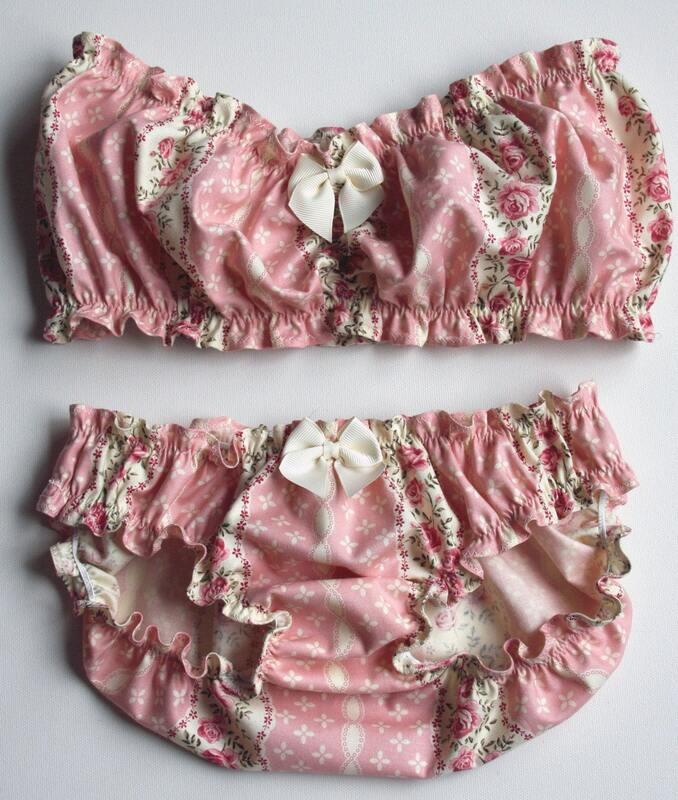 I may have to attempt making these myself with my handy sewing machine. I may have to do a whole fashion post dedicated to undergarmets sometime soon. 5.) Kids craft that's really cool for adults, also! T-shirt rugs? Who would have thought? I'm saving up my t-shirts to make a few of these. Check out the instructions here. Great way to recycle my bent-out-of-shape hula hoop and my paint-covered old tees. 6.) I don't know if I should actually love this item or not. 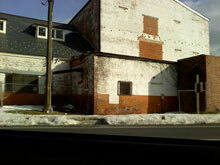 Worcester County, where I currently reside and call home, is #4 on the list of American Ghost Towns of the 21st Century. With 60% of businesses and homes being vacant, you may not understand why I go to so many cool abandoned places. Let's home that this area is in an upswing. It'd be fantastic to see some of these places thriving again. 7.) 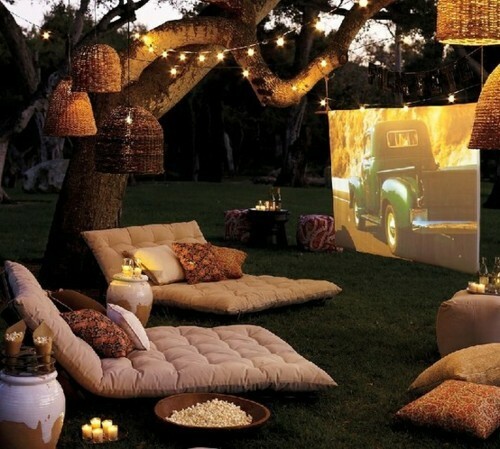 This scene looks absolutely delightful. I need a bigger yard and some fabric to sew and outdoor bed cushion (& for my restrictive neighborhood to approve such a thing). 8.) 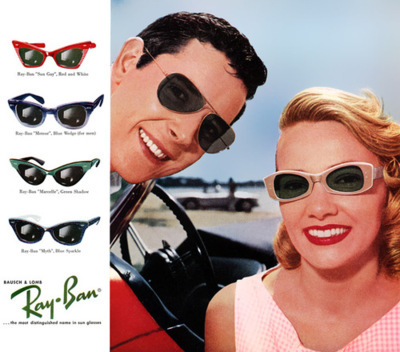 Old school Ray Ban advertisement. Funny that these spectacles actually look a lot like my new Ray Bans. This ad is from 1960. Fashion always repeats itself! 9.) Bettie Page! Her birthday was April 22nd, 1923. She was the queen of pinups and inspired a sexual movement. Happy birthday, Miss Page. ﻿10.) ModCloth's guide to going green in honor of Earth Day - April 22nd. Be fashionable while being earth-friendly. Do you love any of these things, too?